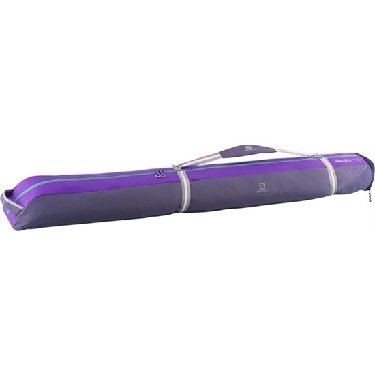 Put the sleeve on the shoulder and the skis will immediately be stable and easy to carry. With the weight of the skis, the strap compresses the sleeve and fixes the skis inside. Padded handle for more carrying comfort. Dimensions: 185 x 14 x 24cm.